IBM Engineering Lifecycle Management Base (Rational Collaborative Lifecycle Management) provides a single plan that spans requirements, application development, design and test efforts. The software inspires full team participation in accurate planning. It integrates planning with execution ensuring the plan always reflects the team's status. Virtually real-time data enables teams to respond to the unexpected. This software establishes relationships between software artifacts, raising awareness across team members. Project managers can identify and close artifact gaps across disciplines. Practitioners have access to related artifacts to make more informed decisions. From requirement through release, IBM Engineering Lifecycle Management Base (Rational Collaborative Lifecycle Management) provides a clear view of completeness. IBM Engineering Lifecycle Management Base (Rational Collaborative Lifecycle Management) empowers teams by making information accessible to all team members in the context of their work. Team members can collaborate on and review software development artifacts to help incorporate feedback early and often. Global collaboration is fostered by providing a single source of the truth hosted in a shared repository. 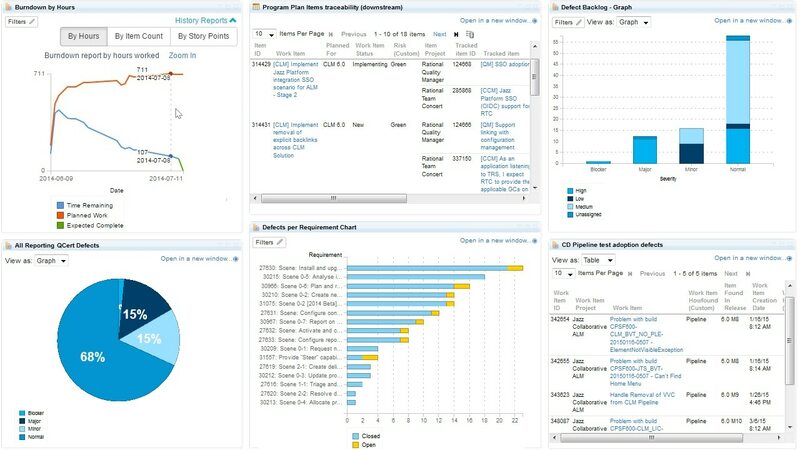 Business intelligence techniques are applied to development projects. IBM Engineering Lifecycle Management Base (Rational Collaborative Lifecycle Management) uses fact-based decision making that enables team members to communicate status, monitor progress, diagnose problems and identify corrective actions. It provides a full view of projects to help teams achieve on-time delivery. IBM Engineering Lifecycle Management Base (Rational Collaborative Lifecycle Management) allows team members to readily participate with practices at their fingertips. It promotes incremental improvement of a project, while enabling breakthrough improvement through the use of automation to capture best practices and reuse across teams.